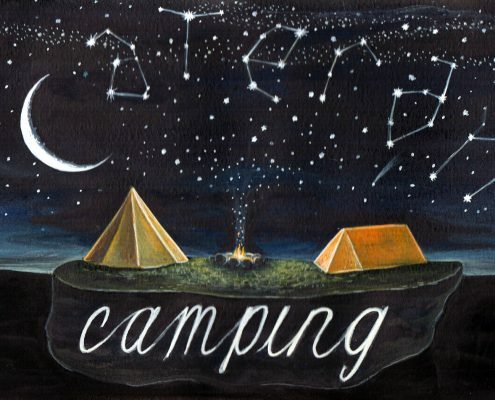 Camping is available for 7 pitches on the lower field, with easy access to the eco toilet, or for the more adventurous, the upper field offers fantastic views, albeit with a longer walk to the toilet and water supply. 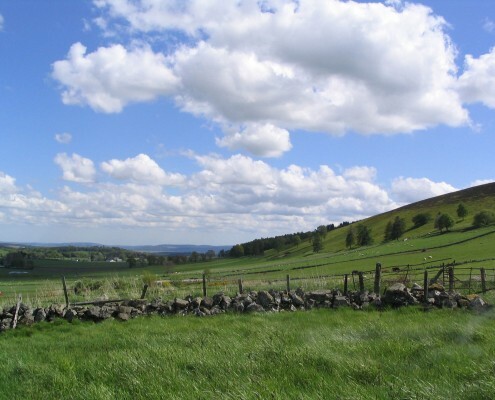 Car parking is available, but in the interests of peace and tranquility, there is no motorised vehicle access in the camping areas. Wheel barrows are provided for moving your camping equipment the short distance to your pitch. In 2016 we can offer an eco toilet and mains water supply. Well behaved dogs are welcome, on a lead, because there are sheep in the fields next door. Dog poo bags are provided for you to clean up after your dog. We have a central campfire area for general use. Those wanting a fire or barbeque on their own pitch can borrow portable steel fire dishes. Firewood, wood briquettes and bags of charcoal are for sale on site. Please recycle all rubbish in the bins provided. 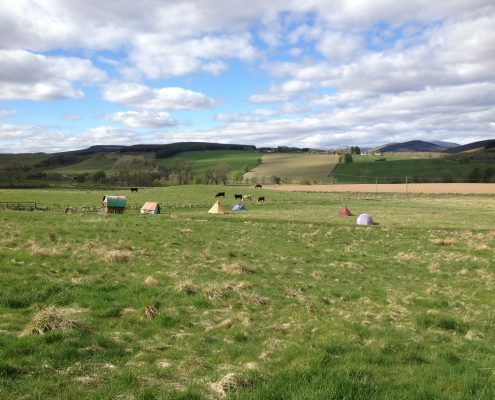 Cateran Camping is a quiet, relaxed campsite. We want all our guest have a good time, so please keep noise to a minimum after 10pm. Please do not bring amplified music, but acoustic instruments are always welcome around the campfire. Payment is accepted via bank transfer, Paypal or cash. The owners are not liable to the guest, or members of the guest’s party for the loss or damage to any belongings of any of them. As owners we shall not be responsible for the death or personal injury to a holidaymaker or loss, damage or accident to personal property. In the event of misbehaviour or other inappropriate actions, the owners reserve the right to terminate the let immediately without any refund of monies.